40 years after the Billy Graham Crusade, two generations ask: What’s next? In an unprecedented event, more than 337,000 people gathered to hear Dr Billy Graham speak at the National Stadium on December 6 to 10, 1978. 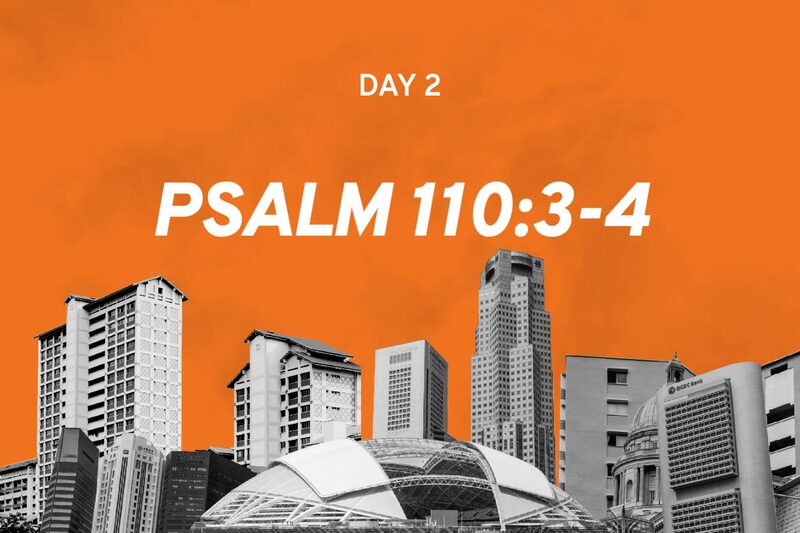 Exactly 40 years ago, the Singapore Billy Graham Crusade was held at the former National Stadium. For five nights starting December 6, 1978, Dr Billy Graham, the late American evangelist, released the message of salvation to the 337,000 that poured into the open-air stadium. For the first time, evangelical churches from different denominations and para-church organisations worked alongside each other for a combined national event. It was unprecedented. In the early days of Singapore’s nationhood, each group would work quietly in its own sphere of influence. The crusade in 1978 saw them partnering up and aligning themselves to the common cause of sharing the Gospel with the nation. 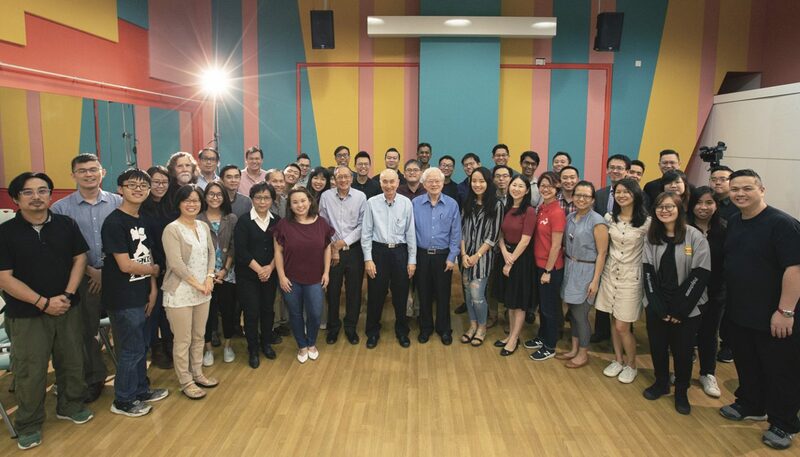 It was a monumental effort, mobilising thousands of volunteers from every corner of Singapore, a feat that could only be pulled together with the Church working as one. Hundreds of thousands came to hear the the Good News and thousands received salvation by the end of the week. 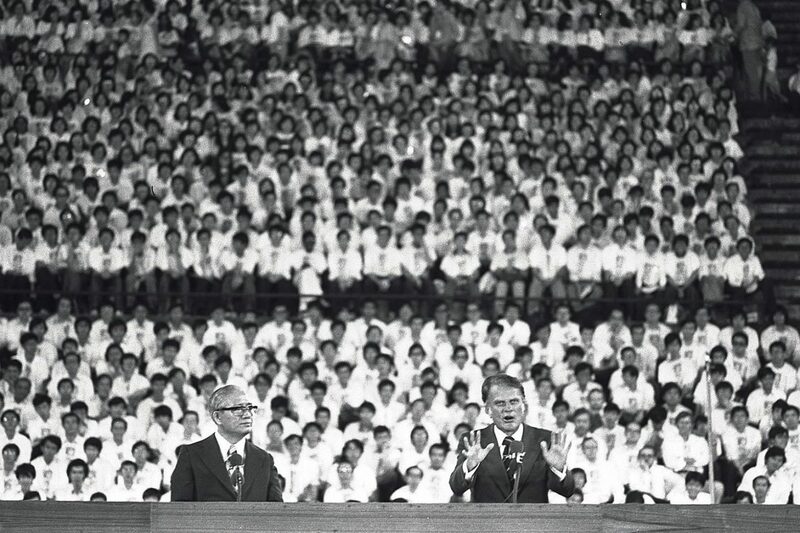 The Singapore Billy Graham Crusade was deemed a watershed moment in local Church history. Even the local media sat up and took note – the crusade was widely reported and commented on in the news. Back then, Christians made up only 8% of the population; that figure has since more than doubled to almost 20% today. Lest we forget, a special forum, Remembering the Crusade – A Church United for the Gospel was organised in May. Forty Christian ministry workers, mostly young adults in their 20s and 30s, had front row seats hearing from four men who were also at the ringside of the crusade four decades ago. 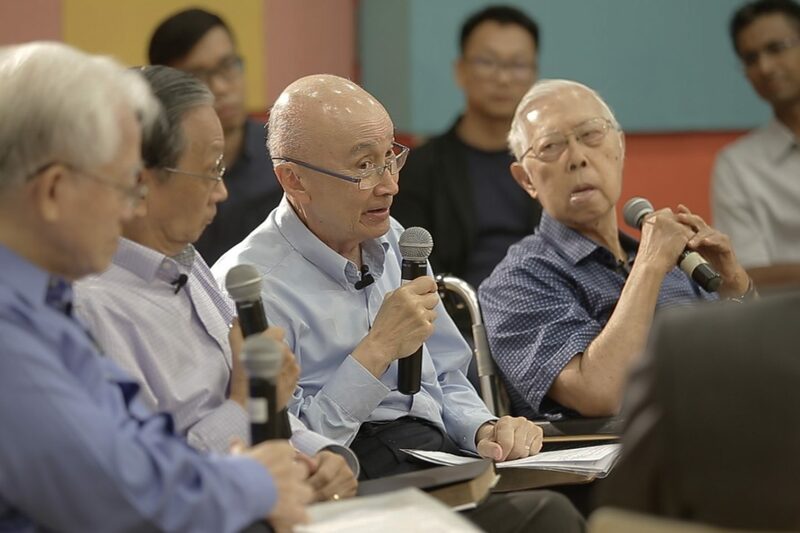 The panel comprised four gentlemen: Canon James Wong, who had served as the Vice-Chairman of the organising committee, Alfred Yeo, who had held the position of General Secretary, brothers Jim and Ernest Chew, who had served as the Vice Chairman (Counselling) and Vice Chairman (Steering Committee) respectively. 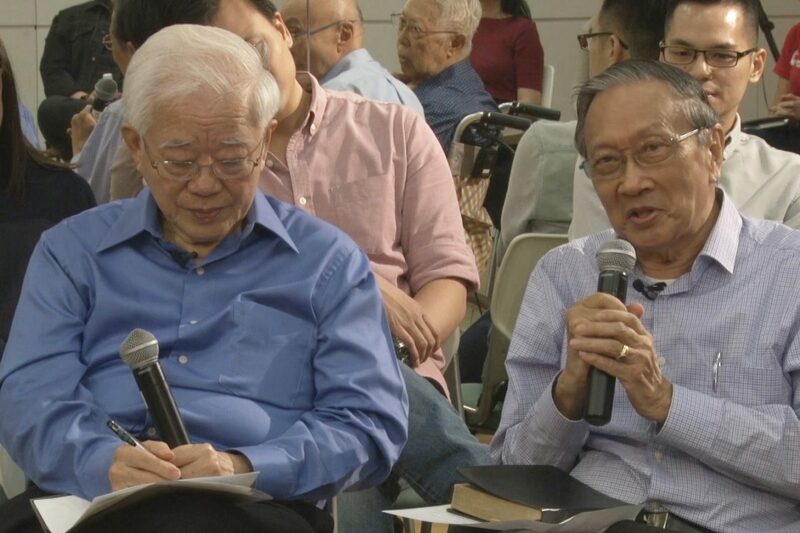 At the Remembering the Crusade gathering, Alfred Yeo (left) and Ernest Chew (right) shared about the remarkable unity among the churches at the milestone evangelical event. 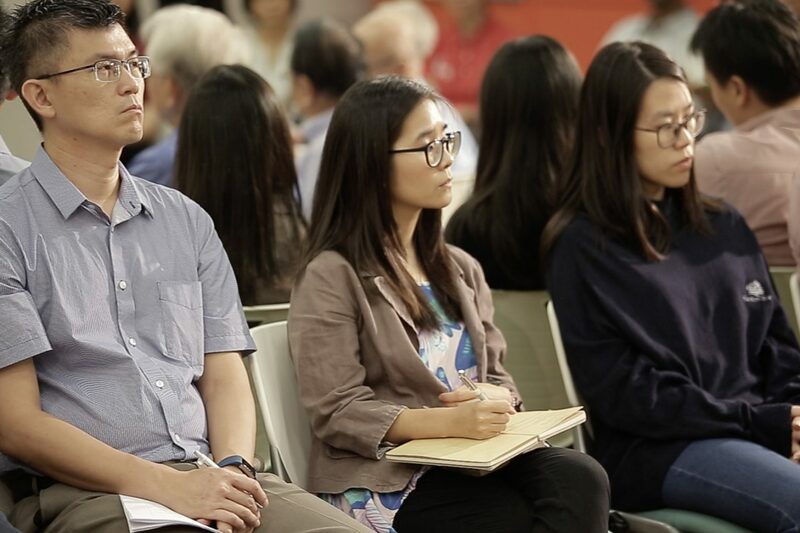 Ng Zhiwen, one of the organisers, shared: “We had a vision of the Church united across backgrounds and denominations – within and between generations to encourage effective mission for Jesus as His body. Forum participants, who spanned a range of ages, listened to first-hand accounts by the 1978 organising committee. The unity in purpose to proclaim the Gospel and lift the name of Jesus was what made the crusade a success. Jim Chew recalled: “Unity comes as a result of relationships. It was such a joy to see church leaders meet together, pray together, and chair together. The leadership had a passion for the Lord, a love for one another. They remained friends long after. “The leadership had a passion for the Lord, a love for one another. They remained friends long after,” recalled Jim Chew (middle). Canon James Wong (right), Alfred Yeo (extreme left) and Ernest Chew (second from left) also shared their impressions of God’s hand upon the event. 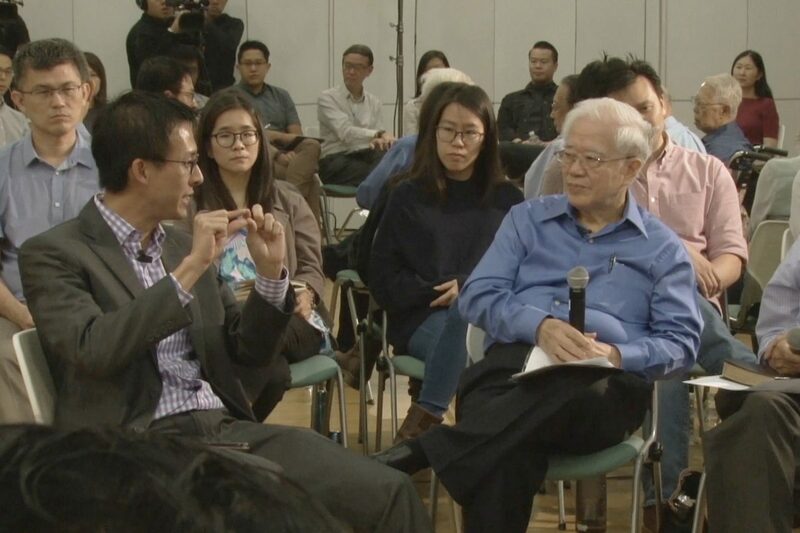 Ng Zhiwen (left), the facilitator of this dialogue session, with Alfred Yeo (in blue) who had been the General Secretary of the 1978 organising committee. For about an hour the millenials drank in the anecdotal stories of God’s provision and goodness, as they heard the sharing of the white-haired gentlemen aged 75 and beyond. There was a gulf of 50 years separating the speakers from some audience members, but stories of faith never fail to knit hearts. The forum, which included a question and answer session, ended with each generation praying for the other. 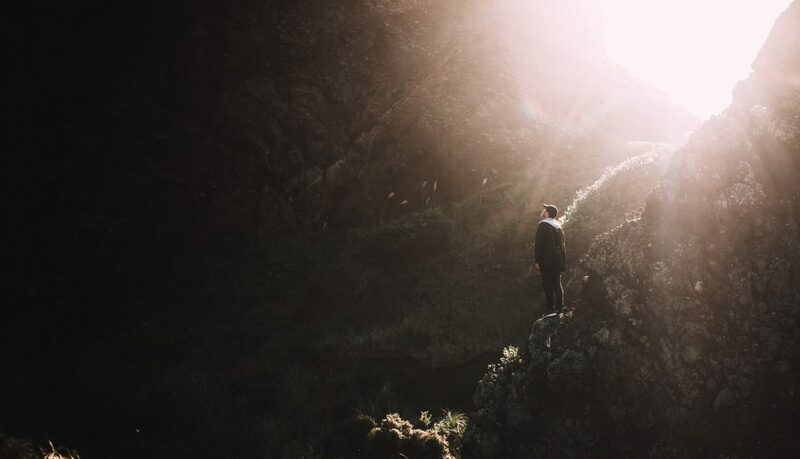 Canon James Wong said: “I believe that this generation of younger people, will be raised by God for a purpose; grace isn’t only for themselves. They would reach out to the lost, to gather in the harvest when it is time. The 40 participants, whose ages ranged from 20s to 80s, included missionaries, ministry workers, pastors, Bible teachers and Christian creatives. “Forty years have passed, the next 40 years is ahead of us. We have the new generation. 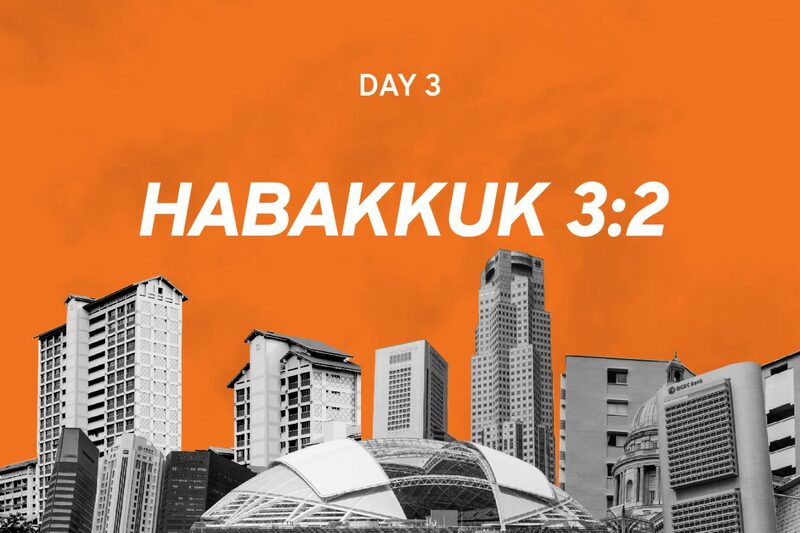 I pray that God would use the younger generation for this harvest, to reach out to the nation of Singapore and beyond.